VISIONMIXER Makes ANDREA TRUE CONNECTION Go Barefoot With Exclusive New Mix! 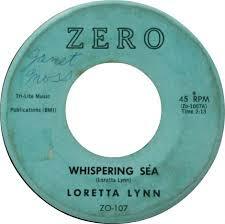 The legendary coal miner`s daughter, the legendary Loretta Lynn is releasing her new album called “Full Circle”. Watch her performance of “Whispering Sea” live in Studio, one of the songs included in the new album. It`s always emotional watching something new from this lady. Thank you, Loretta.